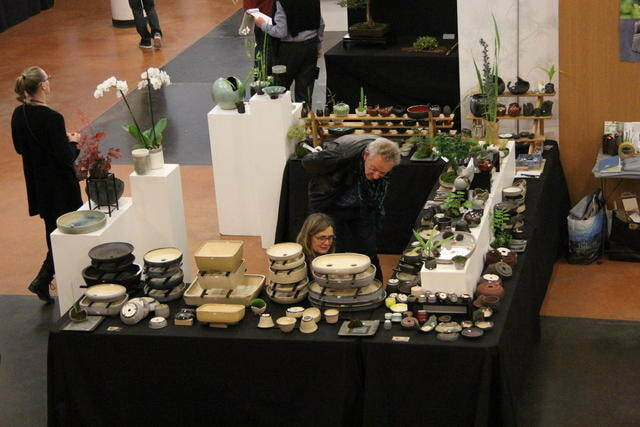 Born in Lyon, France, Sabine creates superb elegant ceramics for Bonsai, kusamono and for Ikebana. She began making pots at just 13 years old, when she learned the potter’s wheel, and for several years made ceramics which she fired in a wood fired kiln. As is often the case - life took over, but her love of pottery never faded. 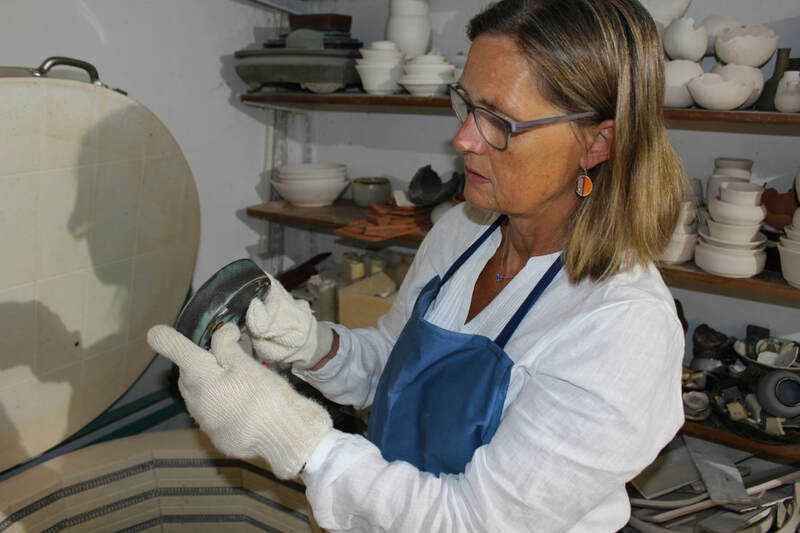 In 2011 Sabine’s was able to create ceramics again, and her pottery soon became very popular in France and is now well regarded and sought after around Europe, America and Australasia. Sabine creates beautiful works on a full-time basis, and feels very fortunate to have made her passion her career – as do we! Pots are made from a variety of clays and handmade construction techniques. She especially enjoys throwing pots on the wheel. 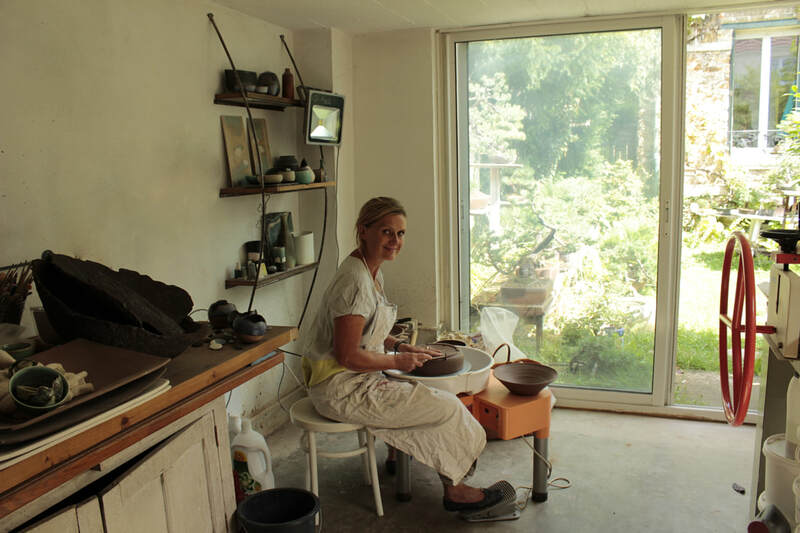 ‘I like the feeling of making pots this way; this is very dynamic and all pots are different’. Pots are fired in an electric kiln that allows a very good reproducibility and can fire between 1240°C and 1300°C. These beautifully formed pieces, are often visually ‘simple’ with clean, straight lines and gentle curves. Her respect and influence of Japanese ceramics is evident in her work and she loves to make pots for maples and for wild trees. Sabine uses many homemade glazes, such as her wonderful aged-looking crackle glazed bonsai pots, characteristic of old Chinese glazes. I am inspired by old Japanese bonsai pots and colours. The indigo colour is one of my favourite and you will find blue colour in many of my pots but always with colours that suit the tree first. Most of the glazes are home made using rough compounds to produce a wide range of colours and textures. I like playing with colors mostly for accent plants for which I have a freedom to create new shape and new bright colors. I also love the unglazed pot for the warm aspect that the red stoneware takes after high temperature firing.